"Ann McKim" redirects here. For the ship, see Ann McKim (clipper). Ann Dvorak (born Anna McKim; August 2, 1911 – December 10, 1979) was an American stage and film actress. Anna Lehr was an American silent film and stage actress. Samuel Edwin McKim was an actor and director of American silent films. She made her film debut when she was five years old in the silent film version of Ramona (1916) and was credited "Baby Anna Lehr". She continued in children's roles in The Man Hater (1917) and Five Dollar Plate (1920), but then stopped acting in films. Her parents separated in 1916 and divorced in 1920, and she was not to see her father again until 13 years later when she made a public plea to the press to help her find him. Ramona is a 1916 American silent drama film directed by Donald Crisp based on Helen Hunt Jackson's 1884 novel Ramona. The film is considered to be lost with only reel 5 preserved at the Library of Congress. In the late 1920s, Dvorak worked as a dance instructor and gradually began to appear on film as a chorus girl. Her friend Karen Morley introduced her to Howard Hughes, who groomed her as a dramatic actress. She was a success in such pre-Code films as Scarface (1932) as Paul Muni's sister; in Three on a Match (1932) with Joan Blondell and Bette Davis as the doomed, unstable Vivian, in Love Is a Racket (1932) and in Sky Devils (1932) opposite Spencer Tracy. Known for her style and elegance, she was a popular leading lady for Warner Bros. during the 1930s, and appeared in numerous contemporary romances and melodramas. Karen Morley was an American film actress. Scarface is a 1932 American gangster film directed by Howard Hawks and produced by Hawks and Howard Hughes. The screenplay, by Ben Hecht, is loosely based on the 1929 novel by Armitage Trail which was inspired by Al Capone. The film stars Paul Muni as gangster Antonio "Tony" Camonte violently rises through the Chicago gangland. Meanwhile, Camonte pursues his bosses's mistress as Camonte's sister pursues his best hitman. In an overt tie to the life of Capone, one scene depicts a version of the Saint Valentine's Day Massacre. At age 19, Dvorak eloped with Leslie Fenton, her English co-star from The Strange Love of Molly Louvain (1932), and they married March 17, 1932. They left for a year-long honeymoon without giving adequate notice to the studio and in spite of her contractual obligations. This led to a period of litigation and pay dispute during which she discovered she was making the same amount of money as the boy who played her son in Three on a Match. She completed her contract on permanent suspension and then worked as a freelancer, but although she worked regularly, the quality of her scripts declined sharply. Leslie Fenton was an English-born American actor and film director. He appeared in 62 films between 1923 and 1945. The Strange Love of Molly Louvain is a 1932 American pre-Code crime drama film directed by Michael Curtiz and starring Ann Dvorak and Lee Tracy. The script was based on the play Tinsel Girl by Maurine Dallas Watkins. She appeared as secretary Della Street to Donald Woods' Perry Mason in The Case of the Stuttering Bishop (1937). She also acted on Broadway. 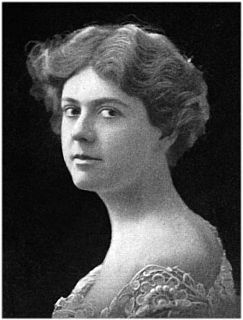 With her then-husband, Leslie Fenton, Dvorak traveled to England where she supported the war effort by working as an ambulance driver and appeared in several British films. She appeared as a saloon singer in Abilene Town , released in 1946. The following year she showed she could handle comedy well by giving an assured performance in Out of the Blue (1947). Perry Mason is an American fictional character, a criminal defense lawyer who is the main character in works of detective fiction written by Erle Stanley Gardner. 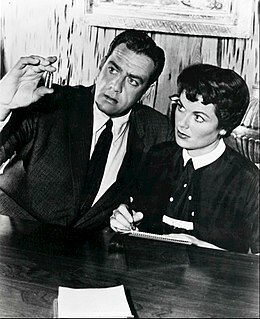 Perry Mason is featured in more than 80 novels and short stories, most of which involve a client's murder trial. Typically, Mason establishes his client's innocence by implicating another character, who then confesses. 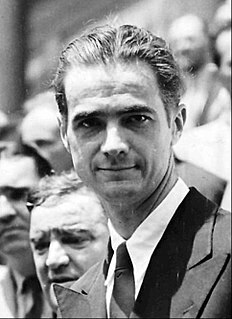 Dvorak's marriage to Fenton ended in divorce in 1946. In 1947, she married her second husband, Igor Dega, a Russian dancer who danced with her briefly in The Bachelor's Daughters . The marriage ended in divorce two years later. Dvorak retired from the screen in 1951, when she married her third and last husband, Nicholas Wade, to whom she remained married until his death in 1975. She had no children. In 1959, she and her husband moved to Hawaii, a place she had always loved. Several weeks before her death, Dvorak suffered severe stomach pains. She was diagnosed with cancer that had metastasized beyond cure. She died on December 10, 1979, aged 68, in Honolulu. She was cremated and her ashes scattered off Waikiki Beach. 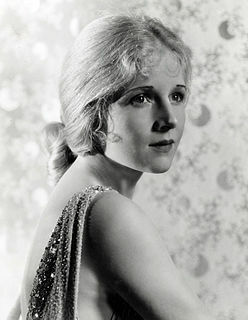 Ann Harding was an American theatre, motion picture, radio, and television actress. A regular player on Broadway and in regional theater in the 1920s, in the 1930s Harding was one of the first actresses to gain fame in the new medium of "talking pictures", and she was nominated for the Academy Award for Best Actress in 1931 for her work in Holiday. Constance Campbell Bennett was an American stage, film, radio and television actress. She was a major Hollywood star during the 1920s and 1930s and for a time during the early 1930s, she was the highest-paid actress in Hollywood, as well as one of the most popular. Bennett frequently played society women, focusing on melodramas in the early 1930s and then taking more comedic roles in the late 1930s and 1940s. She is best known today for her leading roles in What Price Hollywood? (1932), Bed of Roses (1933), Topper (1937), Topper Takes a Trip (1938), and had a prominent supporting role in Greta Garbo's last film, Two-Faced Woman (1941). Owen Moore was an Irish-born American actor, appearing in more than 279 movies spanning from 1908 to 1937. Lila Lee was a prominent screen actress, primarily a leading lady, of the silent film and early sound film eras. Dorothy Mackaill was a British-American actress, most notably of the silent-film era and into the early 1930s. Doris Margaret Kenyon was an American actress of motion pictures and television. Julie Bishop, previously known as Jacqueline Wells, was an American film and television actress. She appeared in more than 80 films between 1923 and 1957. Ruth Clifford was an American actress of leading roles in silent films, whose career lasted from the early silent film era into the television era. Ann Brody, née Ann Goldstein, was an American film actress of the silent era. She appeared in 58 films between 1915 and 1934. She was born in Poland, and died in New York City. Mary Philips was an American stage and film actress. James Malachi Rennie was a Canadian American actor who performed on the New York stage and also appeared in several Hollywood films during the 1920s, 1930's and 1940's. He became a naturalized as a U.S. citizen in New York in 1933. Should a Woman Divorce? is a 1914 silent film written by Ivan Abramson and directed by Edwin McKim, and starring Lea Leland and Leonid Samoloff. ↑ Rice, Christina (2013). Ann Dvorak: Hollywood's Forgotten Rebel. Lexington: University Press of Kentucky. Pg. 13. ↑ Funk, Charles Earle (1936). What's the name, please? A guide to the correct pronunciation of current prominent names. New York and London: Funk & Wagnalls. ↑ "Dvorak Details". The Brooklyn Daily Eagle . June 12, 1932. p. 59. Retrieved September 15, 2015– via Newspapers.com. ↑ "Ann Dvorak, Actor Marry After Airplane Elopement". Chicago Tribune . March 18, 1932. p. 8. Retrieved September 16, 2015. ↑ "Ann Dvorak". Hollywood Walk of Fame. Retrieved September 16, 2015. Wikimedia Commons has media related to Ann Dvorak . "Ann Dvorak: Hollywood's Forgotten Rebel" – biography.